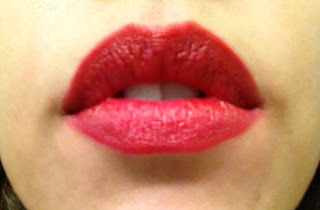 makeup by sameera: Love Lip Color? All you need is Lip Liner. First, start with a good hydrating balm. My favorite is the Italian Red Mandarin with Rose from Pangea Organics. Spread a light layer all over lips. And finish by patting and smoothing color with a finger tip. This is a perfect sheer wash for casual outings or to wear during the day. Over lip balm, sweep lip liner in longer strokes to cover the entire lip. Don't get too far out on the edges, as this will cause the color to bleed with this particular type of application. With a creamy finish. You can add more balm over the top if you'd like to add more sheen or soften the color. Add a little balm for a creamier look. Start in the center of the lip and gently pat balm outwards. It's important to use a patting motion instead of a dragging one, to ensure that the color stays evenly distributed. For a glossy look, apply clear gloss over the entire lip. 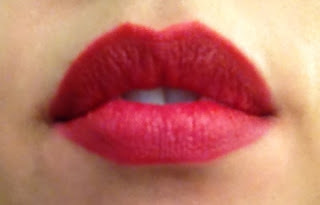 Using a brush or diagonal applicator, very lightly sweep an even layer of gloss over lips. Pat away any color variations if necessary. This is seriously the easiest way to add all those fun colors to your collection without breaking the bank. Lip liners are usually cheaper than lip sticks and glosses too! What colors are you dying to try this season?